The Bemis Center has had a spectacular year and we look forward to 2011, when we will celebrate our 30th year bringing art and artists to the forefront of contemporary culture. The Bemis Center has taken an important next step. 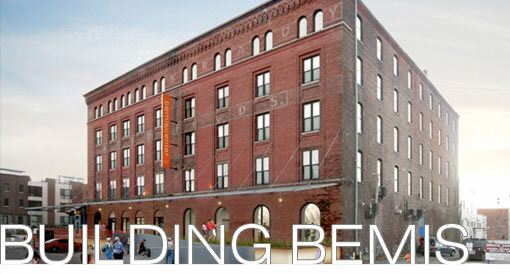 We are pleased to announce that we will enter 2011 with the Building | Bemis capital campaign, launched to build our capacity and expand our programming to serve more artists and continue the incredible momentum of the past 29 years. Please join us in celebrating an amazing 30th year in 2011. 5 additional studios for resident and visiting artists, allowing us to expand the current Artist-in-Residence program from 24 annual residencies to 36 each year. With a record 1,001 residency applications in 2010, the additional space will help us to meet the increased demand of the program by awarding more artists time, space and support. Facility renovations including a new loading dock and new windows throughout the facility. These improvements will strengthen the aesthetic appearance of the facility both internally and externally, while also improving accessibility and energy efficiency. 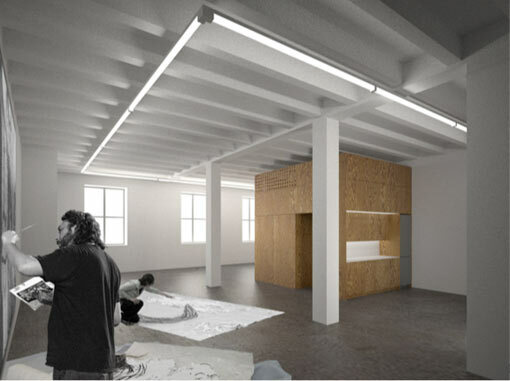 Renovation of the Okada Sculpture Facility, including formalized workspaces and kilns. The Okada will become a space for opportunity. Artists will have the unique ability to create large-scale sculpture and ceramics that they can’t make elsewhere. Keep up on the progress of renovations by visiting us on Flickr. Every dollar you contribute to the Building | Bemis Campaign will support additional innovative programming and our mission to support exceptional talent.